tap the potential of all Americans to strengthen U.S. leadership in science and technology. of women and historically underrepresented minorities in science, technology, engineering, and mathematics. Deep understanding of the urgency and complexity of the inclusiveness challenge as a result of 15 years of experience working with STEM stakeholders at the national and community levels. Deliverables provided to the House Science Committee, the Bill and Melinda Gates Foundation, the Ewing Kaufmann Foundation, the San Diego Foundation, the U.S. Army, the Office of Naval Research, and the Office of the Secretary of Defense. A portfolio that encompasses the design, development, maintenance of websites, videos, and YouTube channels, as well as the production of research-based messaging, and wide-ranging collateral materials. Conceptualization and implementation of a three-year Department of Defense STEM Diversity Campaign whose components included community engagement, communications, and evaluation. 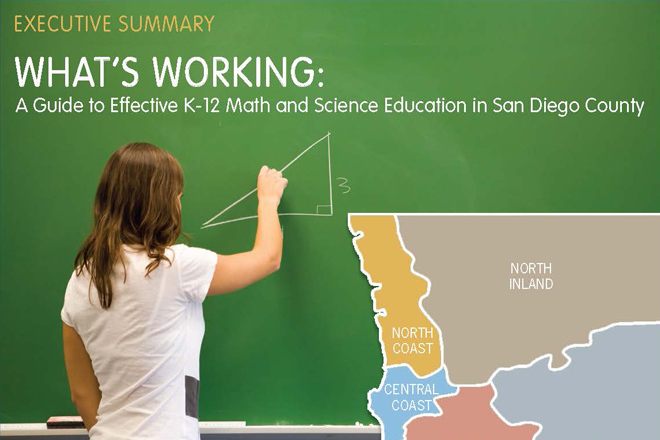 An extensive record of collaboration with K-12 schools, institutions of higher education, and nationally recognized STEM education content providers to deliver professional development and STEM programs to students in selected communities across the country. The credibility, network, and administrative capacity to organize, manage, and execute high-level events on STEM-related issues.